A few days ago (after payday) I decided I should treat myself a little bit, and so I bought a few items that I'm really happy with. Hace un par de días (y después de haber cobrado) decidí complacerme un poquito y entonces, compré un par de productos con los que estoy muy contenta. A few months ago, I went looking for this foundation but they were all out of the oily combination fair range and so, the girl from the revlon counter recommended me the "new complexion" one saying it was the improved formula, I bought it and I can say with all security, that is the crappiest most crappy foundation in the history of crappy foundations (they will be a coming post about it's crappiness). A few days ago I was browsing for the Clinique stay matte (the one I talked about in my previous post) and they didn't have fair shades in stock so I decided to give this one a try since now it was back in stock and all I'll say is that I love it! I tried it last night and it lasted perfectly on me, this shade (sand beige) it's perfect for my pail post winter complexion and I'm inlove with it! 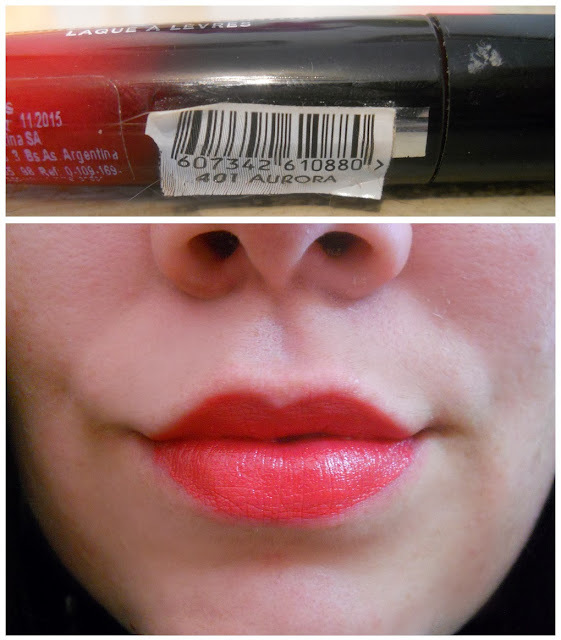 Ps: while I havent properly swatched here, I'm wearing it in the lip products photos below. Hace un par de días estaba buscando la clinique stay matte (de la que hablé en mi post anterior) y, como no tenían ninguno de los tonos más claros, decidí probar esta ya que estab de vuelta en stock y sólo tengo que decir que me encanta! la usé ayer por la noche y me duro perfecta, este tono (sand beige) es perfecto para mi tono pálido post invierno, y me encanta! Ps: Si bien no la mostre propiamente aquí, la estoy utilizando en las fotos de labios de abajo. L'oreal wet stain caresse in Romy: If you've been reading my blog for a few months now you will know that I love this, I got a few ones already and I decided to go for this perfect pinky color that I think it's a perfect every day colour for spring. Si llevan leyendo my blog por unos meses, sabrán que amo este producto, ya tenía un par de ellos y decidí comprar este perfecto rosa para los días de primavera. 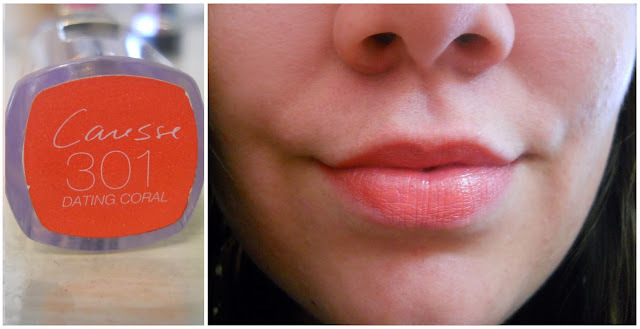 Rimmel Apocalips in Aurora: Fuscia redish shade with a great glossy finish. Love it! Un color fucsia rojizo con un terminado brilloso, me encanta! don't get the new one here in Argentina, I decided to give this a try. I'm not much of a preachy coraly girl, because those shades usually don't suit me unless I'm really taned, but because this one has a pink undertone to it, it does and I really like the way it looks. 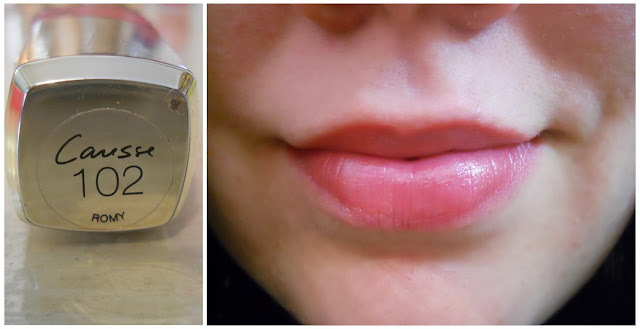 Estoy casi segura de que este color es de la vieja colección caresse, pero como todavía no tenemos los nuevos aquí en Argentina, decidi provar este. No me gustan mucho los colores durazno-coral, porque no suelen quedar bien con mi tono de piel a menos de que esté muy bronceada, pero como este tiene un tono rosado, me queda bien y me gusta mucho como queda. Revlon Lip Butter in Sorbet: I love the new summer edition of the revlon lip butters and I thought to start giving them a try with this one, perfect fushia pink sheer colour, and the way I like them: matte. 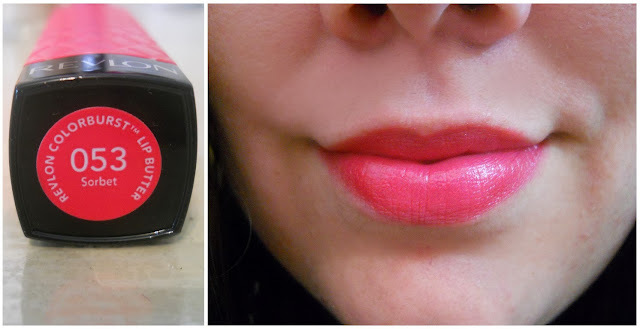 Me encanta la nueva edición de las lip butters de Revlon y, para empezar a probarlas, pensé empezar con este tono, fucsia rosado con terminado transparente y, como a mi me gustan, mate. Have you tried any of this products? What do you think about them!? Han provado alguno de estos productos? que les parecen? Those lip colours look really pretty! Love the sorbet one! Me han encantado tus consejos!!! The 102 Caress looks absolutely amazing! I love the coral lip color! I've been searching for a nice, bright opaque shade. All the lip colors are really pretty but I love that coral one since it's subtle. this is such a lovely post dear! That revlon foundation is amazing!. Already excited to see your future posts. Those lip colors are all so pretty. I love what a pop they are! I love all your lip colours that you bought! Revlon 053 looks amazing on you! Hey there, loved your blog, just followed you on GFC (34), would you mind to follow back? dating coral looks so great! i will look out for that next time im at the drugstore. i'm on such a huge orange kick lately. i can't get enough! we love the lipstick first one, and the foundation looks great, but never tried. I've got an apocalips and I love it, stays really well all day. nicee blog babe shall we follow by facebook and bloglovin?